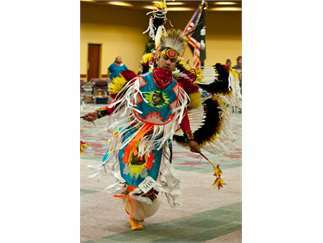 Showcasing the customs of Native Americans in full regalia, the competition draws performers from all over the U.S. and Canada. “The Powwow weekend is filled with dancers and drummers,” said Ro Parker, the director of Multicultural Student Services. “If folks want an opportunity to immerse themselves in the culture of the first people, this is a great opportunity.” Powwow also features demonstrations and storytelling, and vendors will be selling traditional crafts and original artwork. Non-perishable food donations will be taken at the door for the Native American Council of Boise. Parking in the Lincoln Garage- enter license plate # and the code word "POWWOW."